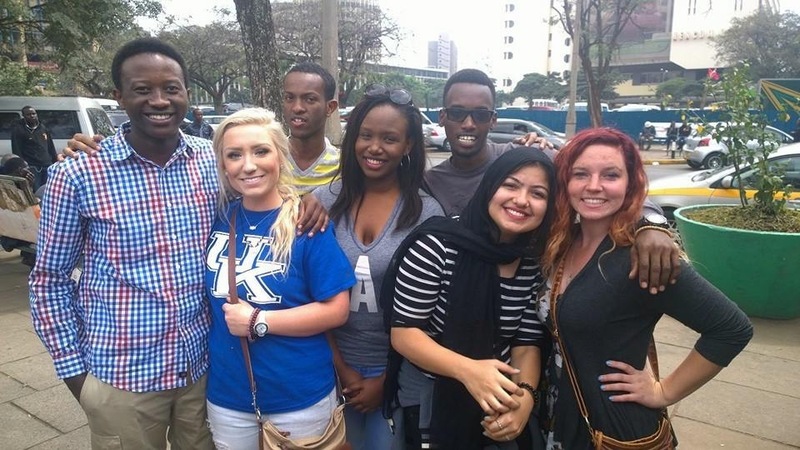 Amanda E. Lewis, who recently completed a study abroad program in Kenya, is featured in this series intended to let EKU faculty, staff, students, or alumni discuss their encounters with African or African-American studies, peoples, and societies as students, instructors, researchers, or travelers. 1. Briefly state your educational background, past and current academic positions held, most recent or significant publications or creative works, if any. I am currently a senior with a double major in Globalization/International Relations and Political Science, minors in Asian Studies and International Studies, and a certificate in African/African-American Studies. 2. Discuss how you have encountered Africa or African-American studies, peoples, and societies in your research, studies, travels, scholarship, teaching, or associations. My greatest encounter with African Studies came in the fall of 2015 when I studied abroad in Nairobi, Kenya at the United States International University-Africa for a semester. I took a range of classes that provided immersion and knowledge of Kenyan and African culture as a whole, ranging from Swahili and African Philosophy and Ideology to Terrorism and International Security that saw me researching al Shabaab terrorist organization and other security threats facing the African continent. 3. What is the most gratifying experience of those encounters, and why? Swahili, in my opinion, is one of the most incredible and beautiful languages in the world, and having the opportunity to learn it both inside a classroom setting and outside immersion from interactions with native speakers was the most gratifying experience of all of my international travels. I picked up on the language fairly quickly and it allowed for a deeper connection to Kenya and the people living there, which enhanced my time there exponentially and contributed to a greater appreciation for Swahili culture. Also, the people I met and friends I made in Kenya are some of the most phenomenal and wonderful people I’ve ever met, and I consider my life forever better because of them. I made friends from all over the world that broadened my understandings of every aspect of life, and I owe the entirety of how much I enjoyed my study abroad program to them. 4. What should anyone who is yet to experience Africana studies learn from your experience? Studying abroad and/or spending time immersed in any location throughout Africa will broaden and change anyone’s views and perceptions of the world as a whole. Kenyan and East African culture are indescribable in their unique history and culture, and experiencing first-hand that diversity was the most incredible and life-changing experience that I have had. So I highly recommend a study abroad program in Kenya – or the continent in general. The Education Abroad office here at EKU has programs throughout Africa (Morocco, Egypt, Kenya, Ghana, Tanzania, and South Africa) that would be incredible and easily doable opportunities for any EKU student, regardless of their area of study. I believe that everyone should study abroad at least once during their time at EKU, and although countries in Africa aren’t typically the first on many students’ list, I believe that the locations of study throughout the continent provide some of the most unique and diverse experiences of anywhere in the world, and are guaranteed to expand your global perspectives.